DESTROYER recently shared a new video for “Stay Lost”from their latest album ken, the 12th studio album released by the Dan Bejar-led group. Called “a user’s guide to the world” by Bejar, the imagery for “Stay Lost” depicts an aimless yet determined craftsman fabricating a world for himself. ken is available now in the Merge Records store on CD, LP, and limited-edition deluxe LP, the latter of which is pressed on opaque yellow vinyl and includes a bonus 7-inch single on black vinyl that contains solo acoustic versions of two album tracks. You can also pick up the album at your local independent record store or through digital services. Destroyer is the long-running solo project from The New Pornographer’s Dan Bejar. 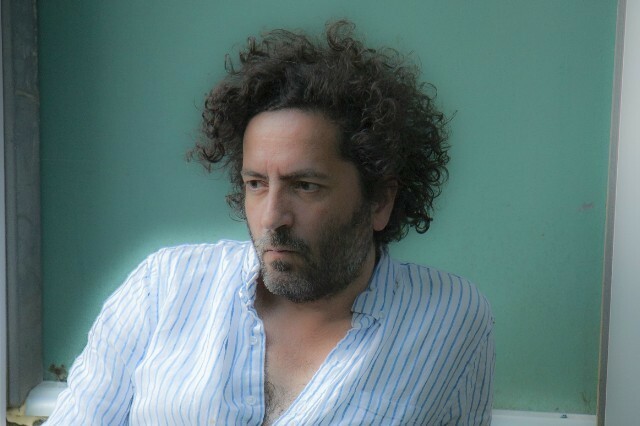 Destroyer’s 12th album ken showcases the evocative songwriting he is known for and we’re excited to welcome the band for a live set. The full-band Destroyer tour is making its way across North America now! Get a sneak peek of what to expect with their recent appearance on KCRW’s Morning Becomes Eclectic. Dan Bejar, aka Destroyer, has announced a new album today called Ken. The title is apparently lifted from the original title of Suede’s “Wild Ones”. Ken will be Bejar’s first album since 2015’s Poison Season. It’s out October 20th on Merge Records . Chaos strikes in a hospital. Satan haunts a fashion show. Tinseltown swims in blood. Destroyer’s twelfth album, ken, is full of unforgettable scenes from Dan Bejar, one of indie rock’s finest lyricists, with a macabre bent suiting his newfound penchant for gothy synths. Destroyer’s forthcoming LP ken is one of the albums we’re most excited about for October. After releasing “Sky’s Grey” and “Tinseltown Swimming in Blood,” Dan Bejar’s newest single, “Cover From the Sun,” kicks it up a notch, shattering the preconceived gloom that the album hinted at. It’s an upbeat rocker, replete with guitar, tambourine and drums. Contextually, the song is also a departure from the abstract lyrics that characterize most of Bejar’s music. Of his 12th studio album and its enigmatic title, Destroyer’s Dan Bejar offers the following: Sometime last year, I discovered that the original name for “The Wild Ones” (one of the great English-language ballads of the last 100 years or so) was “Ken.” I had an epiphany, I was physically struck by this information. In an attempt to hold on to this feeling, I decided to lift the original title of that song and use it for my own purposes. It’s unclear to me what that purpose is, or what the connection is. I was not thinking about Suede when making this record. I was thinking about the last few years of the Thatcher era. Those were the years when music first really came at me like a sickness, I had it bad. Maybe “The Wild Ones” speaks to that feeling, probably why Suede made no sense in America. I think “ken” also means “to know.” ken was produced by Josh Wells of Black Mountain, who has been the drummer in Destroyer since 2012. The album was recorded in its entirety in the jam space/studio space that the group calls The Balloon Factory. However, unlike Poison Season, ken was not recorded as a “band” record, though everyone in the band does make an appearance. Of his 12th studio album and its enigmatic title, Destroyer’s Dan Bejar offers the following: Sometime last year, I discovered that the original name for The Wild Ones (one of the great English-language ballads of the last 100 years or so) was Ken. I had an epiphany, I was physically struck by this information. In an attempt to hold on to this feeling, I decided to lift the original title of that song and use it for my own purposes. It’s unclear to me what that purpose is, or what the connection is. I was not thinking about Suede when making this record. I was thinking about thelast few years of the Thatcher era. Those were the years when music first really came at me like a sickness, I had it bad. Maybe The Wild Ones speaks to that feeling, probably why Suede made no sense in America. I think “ken” also means “to know.” ken was produced by Josh Wells of Black Mountain, who has been the drummer in Destroyer since 2012. The album was recorded in its entirety in the jam space / studio space that the group calls The Balloon Factory. However, unlike Poison Season, ken was not recorded as a “band” record, though everyone in the band does make an appearance. Despite being part of a tour that eventually evolved into violence and heartbreak, Led Zeppelin put it all together during their April 27th, 1977, stop at the Richfield Coliseum near Cleveland . 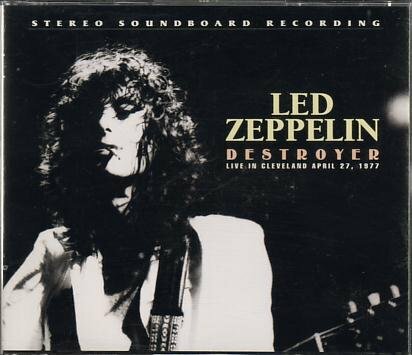 Led Zeppelin ended up running through an impressive setlist of fan favorites that night in Cleveland, including “Since I’ve Been Loving You,” “Stairway to Heaven” and “Kashmir,” while sprinkling in newer fare like “Achilles Last Stand” from their latest album “Presence”. A standout moment arrived courtesy of John Paul Jones . who led an improvisational run through “No Quarter” that stretched to 20 minutes in length. Together, these bootlegs seem to celebrate a band at the top of its game. A show held three days after this Cleveland stop went on to draw more than 76,000 fans to Detroit’s Pontiac Silverdome setting a record for an indoor arena at that time. In actuality, however, Destroyer documented the beginning of the end. Dates in support of Presence, Led Zeppelin’s seventh studio record, had kicked off on April 1st, 1977, in Dallas, with 51 concerts scheduled. They’d never get there. When Led Zeppelin reached the Riverfront Coliseum in Cincinnati on April 19th, 1977, more than 2,000 fans without tickets attempted to crash the gates – resulting in around 70 arrests. Later, on June 3rd, a riot broke out in Tampa after an open-air concert was cut short by a thunderstorm, leaving behind scores of injured fans. Moving forward in a tense, drug-fueled environment, Led Zeppelin’s performances were criticized as increasingly overblown and inconsistent. Then Robert Plant’s son Karac died on July 26th, 1977, after a a severe stomach virus . Already fearful that things were going off the rails, Plant took an extended period of time away to grieve. A tour originally intended to last through August. 13th abruptly ended. Led Zeppelin eventually rallied to produce 1979’s album “In Through The Out Door” but by September. 24th, 1980, Bonham was dead aged just 32, and Led Zeppelin were no more. Already scheduled North American concerts, including a return to Cleveland on October. 25th-26, 1980, were cancelled. That left a July 24th, 1977, date in Oakland, less than three months after Led Zeppelin’s heralded stop at the Richfield Coliseum, as their last-ever concert in the U.S.
Valley Queen front woman Natalie Carol leads a band reminiscent of Fleetwood Mac and My Morning Jacket with evocative vocals. Neil Wogensen (Bass & Vocals), Shawn Morones (Lead Guitar & Vocals) and Gerry Doot (drums), enrich the songs with energy, excitement and emotion. March 2017 marks the debut of Valley Queen’s premiere EP, featuring their newest songs produced by Lewis Pesacov (Best Coast, Nikki Lane, Fool’s Gold, FIDLAR). The songs show the band’s sonic evolution since their first release, and will set the stage for an exciting year to come. Discussing the video for the track, director David Galloway said, “he’s the Pacific Northwest’s Buster Keaton, and I hope one day to share that with the world. One day. For now, though, there’s just this sadness. This poison season.” And certainly the casual observer would probably see more sadness than slapstick in both the song and the video, either way it’s an exciting taste of the album that’s too come. Daniel Bejar is an singer songwriter from Canada. Bejar has gained widespread popularity through his musical collaborations with Vancouver indie rock band The New Pornographers, but has released far more material as the band Destroyer. Today they announce details of the their debut album ‘Spiritual Songs For Lovers To Sing’ available for pre-order now and out on 6th May 2016 on Mute. The album was produced by The Haxan Cloak (known for his own genre-bending experimental compositions and work on Björk’s Vulnicura album) on the remote island of Osea. Psych-pop masterpiece from two of the best to ever do it. Los Angeles native and weirdo-pop enthusiast Ariel Pink joins forces with lo-fi pop pioneer R. Stevie Moore in a crazy freak-out extravaganza. Back in 2012, two leaders of the modern psych scene colluded together in making a 60+ track album. Here, we have the definitive collection of songs from ‘Ku Klux Glam’. Re-mastered and compiled by R. Stevie Moore, this is a presentation of this record in it’s clearest form. Serving up a combination of Southern musicality and garage rock ferocity, Shreveport, Louisiana natives Seratones announce their debut album ‘Get Gone,’ released via Fat Possum Records. Led by powerhouse frontwoman A.J. Haynes whose thunderous vocals recall the grit of Janis Joplin and gospel of Mavis Staples, Seratones make a strong case with ‘Get Gone’ to be your new favourite alt-rock band of 2016. Recorded at Dial Back Sound studios in Mississippi, ‘Get Gone’ is all live takes, a portrait of Seratones in their element. Add the soul and swagger of a juke joint with the electricity coursing through a basement DIY show, and you’d begin to approach the experience of seeing this foursome live. Haynes’ powerful singing voice, first honed at Brownsville Baptist Church in Columbia, Louisiana at age 6, rings across every track. ‘Don’t Need It,’ which opens with a muscular swing and tight guitar lines, builds into a monster finish with a nasty corkscrew of a guitar line. ‘Sun,’ a brawny thrasher, courses with huge, raw voltage riffs. ‘Chandelier,’ a mid-tempo burner and vocal workout by Haynes, goes from croon to a crescendo that would shake any crystals hanging from the rafters. Shared history in Shreveport’s music scene brought the Seratones together a few years ago. All four had played together with one or another in various local punk bands, bonding through all-ages basement shows, gigs at skate parks and BBQ joints, and late nights listening to jazz and blues records. In a city of multiple genres, no fixed musical identity and a flood of cover bands, these adventurous musicians carved out their own path, personifying the do-it-yourself ethos. The band’s unwavering dedication to staying true to themselves is echoed throughout their debut; however you try to describe it, ‘Get Gone’ is unexpected and unbowed, a head-snapping showcase of the twin pillars of Southern music, restlessness and resourcefulness. LP+ – Limited Yellow Coloured Vinyl with Download. Limited 7″. With delicate, expansive ballads like ‘Bird’ and ‘Heavy Weather,’ 16-year-old Yorkshire folk-rocker Billie Marten proved last year that she’s talented beyond measure and wise beyond her years. ‘Milk and Honey’ is Marten’s latest, and it continues her hot streak. What begins as a breathy acoustic swirl blooms into a lush arrangement topped off by triumphal brass. As ever, Marten sounds vulnerable yet in complete command of her considerable powers. Ultimate Painting is a young, yet already distinguished UK duo comprised of Jack Cooper and James Hoare. As the story goes, these two spent time touring together with Cooper’s band, Mazes, supporting Hoare’s band, Veronica Falls. A fateful friendship developed and, to make it quick, demos were recorded and swapped, which all eventually led to their debut seeing release on Trouble In Mind. The project has been so thoroughly adored for its uncomplicated, beautifully calm approach to VU-style riff-making and loose-but-biting vibes that the follow up, ‘Green Lanes’, was released a mere ten months later. Needless to say Third Man are so glad they carved their way through the great land of Nashville, TN. Recorded direct-to-tape, ‘Live at Third Man Records’ is an impeccable document of English rock ‘n’ roll. The band is in top form here and their set consists of the finest material from the band’s first and second albums, ‘Ultimate Painting’ and ‘Green Lanes’ respectively, with a handful of extended jams featured here. This live record is a must own for fans of the band, not to mention anyone smitten with mellow guitar magic that absolutely explodes into some true, stately mayhem. ‘Heartbreaker’ the debut solo studio album by Ryan Adams, which was hailed as a modern classic on its release in September 2000. The album, which has been remastered by original producer Ethan Johns, features the 15 song album in all its glory plus demos and unreleased outtakes from this landmark record by one of rock music’s most prolific and charismatic stars. The package also includes a DVD featuring a film of the legendary New York show at the Mercury Lounge in October 2000 and a glossy booklet of rare and unseen photos and Ryan Adams ephemera with an essay written by producer, friend and collaborator Ethan Johns. 2CD / DVD – Double CD with DVD Set. ‘Eyeland’ marks the Low Anthem’s fourth full-length recording and first new music since 2011’s ‘Smart Flesh’. The Low Anthem return from an extraordinary five-year journey with ‘Eyeland’ an unprecedented collection of multi-dimensional future folk crafted with uncommon vision and emotional depth. 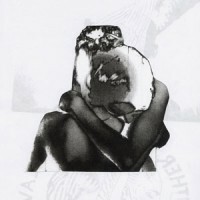 The Providence, RI-based band’s fifth full-length recording, ‘Eyeland’ began as a “vague and rather abstract” short story by co-founder / singer / guitarist Ben Knox Miller, based around the “sonic mythology of a moth’s dreams.” Low Anthem’s lofty aspirations and creative capriciousness resonate throughout songs like ‘Her Little Cosmos,’ ‘The Pepsi Moon’ and ‘Behind The Airport Mirror,’ their elegiac arrangements and lyrical frankness marked by shimmering ambience and a hauntingly defiant tension. Psychedelic in the truest sense of that overused word, ‘Eyeland’ is a perspective-shifting musical experience at once elliptical and intangible yet still precise and powerfully personal. Those Pretty Wrongs are Jody Stephens and Luther Russell, two old friends and veterans of the music scene in different ways. Jody was the drummer for the legendary band Big Star and now helps run equally legendary Ardent Studios in Memphis. Luther Russell was the leader of seminal roots-rock band The Freewheelers and is now an acclaimed solo artist and producer. Those Pretty Wrongs was tracked entirely to 2″ tape at Ardent Studios in Memphis, using much of the old Big Star gear, including Jody’s original kit from Radio City and Third and Chris Bell’s acoustic and electric guitars from No#1 Record. The album was mixed by Luther Russell and Jason Hiller at Hiller’s Electrosound Studios in Los Angeles, CA. Jody is way out in front on this release – really for the first time ever – taking all lead vocals and co-writing all of the songs with Luther. Through the words on this record Jody opens up about his life, which has been well-documented, but not in this very intimate way. Adds Stephens: “For me the lyrics are a walk through day-to-day emotions and experiences.” Luther lives in Los Angeles and Jody in Memphis, so there was a real commitment to finishing these songs and cutting them until they were totally satisfied. Late last year, Destroyer released ‘Poison Season’ – a treasure trove of mid-’70s Bowie-esque thumpers, string-laden laments and E Street horns – to universal acclaim. Recorded in the same sessions as ‘Poison Season’, the song ‘My Mystery’ was a huge favourite yet somehow felt like it didn’t quite fit on the album. 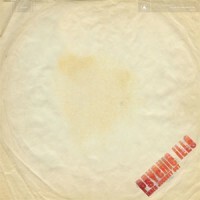 Now it gets released as a stand alone 12″ backed by ‘My Mystery (DJ johnedwardcollins@gmail.com remix)’. What began as a recording project between Frankie Rose (Dum Dum Girls, Crystal Stilts, Vivian Girls) and Drew Citron for their debut album ‘Careers’ has now morphed into something one would of never expected. Drew has speared headed this project into a full time touring band armed with tight musicians all gathered from some of the top bands around her musical community in Brooklyn. Where the first album took on a very 90’s Breeders influence, this sophomore album still has strong 90’s roots, yet sounds more in the vain of a female fronted Teenage Fanclub with jangly guitars and poppy lyrics that won’t escape your head for days on end. Inner Journey Out started out the way many Ills records have – with frontman Tres Warren’s demos. Like all of their records, Elizabeth Hart’s bass is the glue that holds everything together. Where other recent albums found Warren overdubbing himself to create a blown-out, widescreen sound, this recording handed the reigns to a multitude of guest players. A cadre of musicians and vocalists – including Mazzy Star’s Hope Sandoval, who duets on lead single “I Don’t Mind” – join in on the journey. This is the first record to feature touring keyboard player Brent Cordero, his Farfisa and Wurlitzer work is a staple throughout. Rounding things out, is a platoon of drummers and percussionists including Chris Millstein, Harry Druzd of Endless Boogie, Derek James of The Entrance Band, and Charles Burst, one of the record’s engineers. These musicians build the frame on which Warren lays his hazy guitar and vocals. An endless array of friends and guests also provide pedal steel guitar, horns, strings, and backing vocals, which culminate in a career-defining moment for the Ills. For the making of ‘Paradise’, vocalist Mish Barber- Way, guitarist Kenneth William and drummer Anne- Marie Vassiliou reconnected in Los Angeles to work with producer Lars Stalfors (HEALTH, Cold War Kids, Alice Glass) and also sat down with Annie Clark aka St. Vincent to discuss the making of the album. 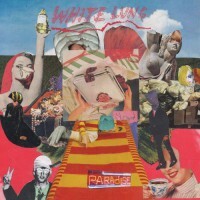 Bringing all the energy, unique guitar work and lyrical prowess the band are known for to the studio, White Lung curated their songs with a new pop sensibility, focusing on making a record for the present.